It is always nice to be recognized by a peer for a job well done, or to receive a thank you from someone you helped in some way. I think I speak for most of us when I say that we love to be affirmed. Affirmations boost our spirits, put a smile on our face, and often will be the thing that motivates us to continue on our course. Well, today I received an affirmation. 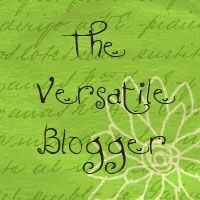 Doris ~ you may know her through her blog, Truth With Doris~ passed the Versatile Blogger Award on to me. The value of this award lies in the fact that we have the opportunity to recognize some of the bloggers who motivate and inspire us. It is a way of saying thank you for your creativity, your skill, your artistry, your humor, or whatever it is that speaks to the bestower of the award. It is an honor to receive because we discover how we affect others in our blogging world. Doris, I am honored that you would think of me and it is with humbleness that I will pass this along to others. 2. I am in graduate school working toward a masters degree in mental health counseling. I love it! 3. Blogging and photography are passionate hobbies of mine. Very therapeutic, both of them. 4. If I have a choice between inside and out-of-doors, out-of-doors wins every time! 5. 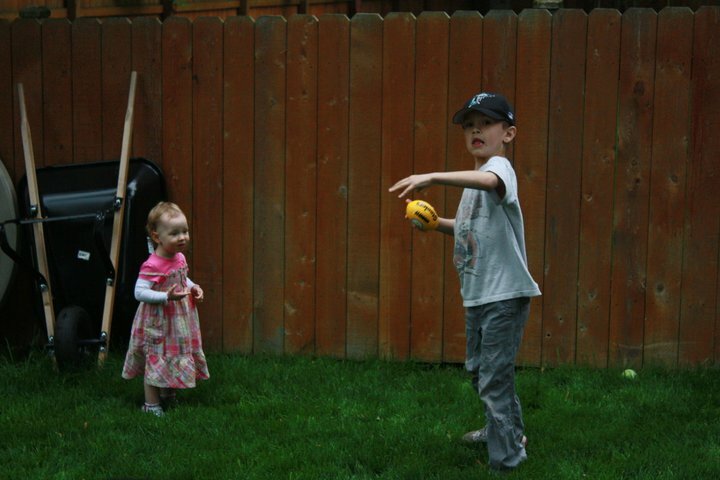 I have two fantastic grandchildren, and my youngest daughter is expecting grandchild number three :-). 6. 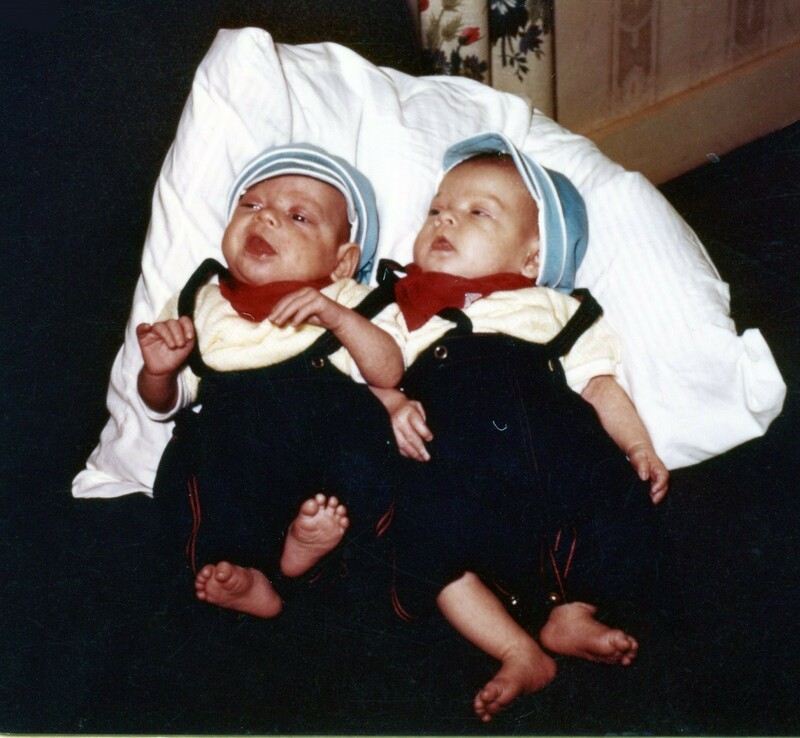 I am a twin, fraternal. My twin brother lives in Colorado. 7. I am an avid reader. plus a hundred more I’d like to honor! This is the hardest part of receiving an affirmation like this. Time constraints prevent me from listing everyone, but if I could I would. I’ll update my blogroll during this break from courses and in the future I’ll refer folks there instead of trying to narrow the field to five or six. Previous New Places to Explore! Well done Cecelia, you really deserve that… great news. I also got one but I don’t know what I am supposed to do with it so I have done nothing !!! 🙂 Good luck tomorrow! You do deserve it, and I thank you for treating us to many fine postings along the way. Thank you my friend. i am both honored and happy for the recognition. You too, via your blog inspire me with your writing and your beautiful photos. I’ve learned a lot of wonderful things about you today. Thank you for making a difference in the world. God bless you and your family. Thanks for the insights . . . I had no idea you had a twin in Colorado. My brother lives in Fort Collins. Yes, Steve and Carolyn live in Fruita. He has lived in CO for decades. Thanks for stopping by. Congrats on some very well deserved affirmation, Ms. F – that’s awesome! Cecilia – Congratulations on your award! It is truly well deserved!! Thank you for the recognition you have extended to my blog, also. I am sending a personal note to your email address. I hope you will get it! 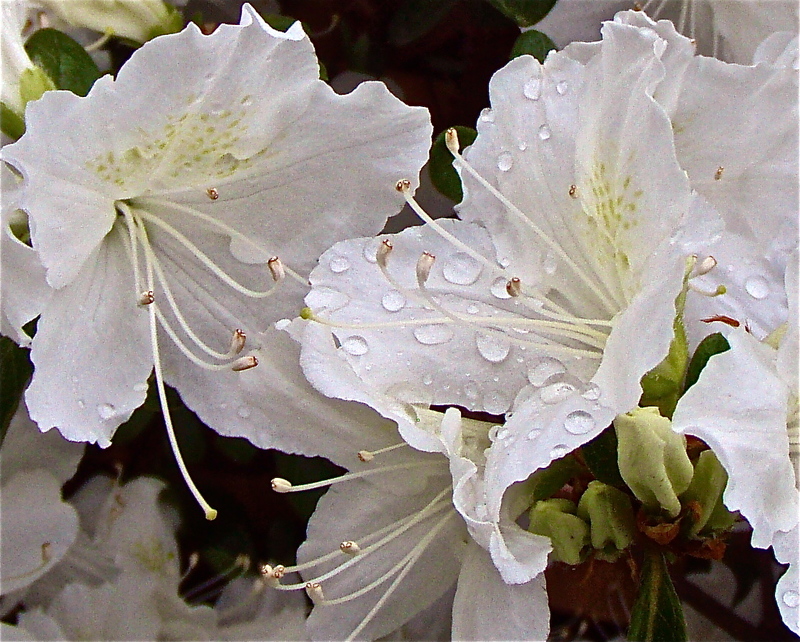 Your white azaleas photo is stunning. I am always fascinated that in macro photos of azaleas the filaments appear to be tipped with silver! Congratulations. I’m not surprised you won it. And what great choices for passing it on. I love knowing a little more about you. Congratulations and well desired! 🙂 You do a beautiful job C! Thank you so much for your nomination for this award! (I thought I commented yesterday — sorry for the delay!) Yours is my second this week so you’ve given me an opportunity to shower accolades on another five bloggers who deserve this honour more than I. I hope there isn’t a Versatile Blogger Award committee that will see through my end-run around their rule limiting the number of bloggers to whom one blogger can give this award! Pingback: Happy Anniversary to Home’s Cool! « Home's Cool! Thanks Barbara. I appreciate your kind comments. Cecelia I am just now seeing this! I want to first congratulate you! Your blog is a joy to read and I enjoy my visits. But I have to say that I haven’t been here for a bit and have taken a break from the computer. There have been some bumps in my little country road Under the Oaks and I am just beginning to get myself together. If I had your email I would apologize much better for not seeing this kind act from you. I want so much to thank you for thinking of me and recognizing my blog for this award. I haven’t blogged for a couple of months now and took my blog private and just parked it until I could decide whether to blog again. I have just begun to start visiting blogs again and commenting. I have missed it. I also wanted to tell you that I was sad and my heart broke for you when I read about your Dad today. But I am smiling reading your updates about how much better he is doing now. I will be praying for him for the strength he needs to recover quickly. Pix at that “pooped out for now” Under the Oaks blog. It is good to see you again. I hope all is well with you and that the “bumps in the road” are smoothed a bit. I always enjoyed your posts. Take care and I hope to see you back regularly in the future. But take care of yourself first and foremost! Thanks for the pingback. I appreciate it. And good to see you again. Have a great week.